Posh Eyes uses the Royal Mail for all UK and International deliveries. Posh Eyes recommends insured delivery (Special Delivery in the UK and International Tracked overseas). Alternative delivery methods can be selected during the checkout process. Royal Mail Special Delivery is £8.70 on orders below 500gm. UK customers have the option of free delivery (Royal Mail Packetpost) on all orders over £50.00 (exc. carriage). Please note that this service can take up to 10 working days to arrive from date of despatch from Posh Eyes. For orders below £50.00, delivery is charged at cost (dependent upon weight). Posh Eyes does not profit from delivery. As an example, orders under £50.00 weighing below 1Kg, UK customers have the option of Royal Mail 2nd Class Post at £3.42 and Royal Mail Special Delivery at £8.70. Please note: Glasses and Contact Lenses sent by Packetpost and Standard Delivery (Second Class Royal Mail) are not insured for loss or damage. Posh Eyes accepts no responsibility for losses in transit of glasses and contact lenses where Packetpost or Second Class Post is chosen by customers. To insure against loss, customers must choose Royal Mail Insured as the Class of Service at checkout. Posh Eyes is not responsible for losses due to incorrect delivery addresses, including post codes. Posh Eyes uses Royal Mail International for deliveries outside the UK. Delivery charges depend upon the weight of a package. On average the price for Royal Mail International Tracked within the European Union is £12.00 and £15.00 for outside the European Union. Posh Eyes is not responsible for any duties or taxes which may be payable by countries outside the European Union. All contact lens solutions are despatched either First or Second Class Royal Mail. Posh Eyes is not able to ship contact lens solutions outside the UK. Free delivery on orders over £50.00 containing contact lens solutions applies to 6 or less solutions bottles. Please contact Posh Eyes for a delivery quotation on orders containing over 6 bottles of contact lens solution. Contact Lenses generally arrive within 7 working days from placement of order. Toric lenses (i.e. lenses for astigmatism) may take longer (up to 10 working days). 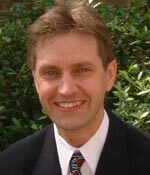 However our lead time is an estimate and not a guarantee, and we cannot be held responsible for delays caused by our suppliers. In the unlikely event that we feel we are unable to deliver an order within 7 working days, we will contact the customer to determine the course of action he/she wishes to take, which will include the option to cancel the order. Contact lens solutions are despatched within 3 working days of order. Prescription single vision full-rimmed and semi-rimless glasses and sunglasses are normally despatched within 10 working days from receipt of order. Rimless glasses are normally despatched within 15 working days. Please allow 15 working days if your prescription is such that your lenses have to be specially made for you (known as surfaced lenses). Please allow 7 working days for delivery of a trial frame. 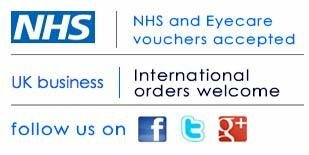 If you are redeeming an NHS Voucher against your purchase of glasses, you should allow 14 days from when we receive your Voucher to despatch of your glasses. If you order varifocal or bifocal glasses, please allow 21 days from the time when your varifiocal/bifocal measurements are taken at one of our partner opticians to when we despatch your glasses. Non-prescription glasses frames are normally despatched within 7 working days of placement of order. If purchasing contact lenses, Posh Eyes will confirm your prescription details with your optician who conducted your original eye test or contact lens fitting. Trial Frames are available to UK customers only. Our prescription glasses, prescription sunglasses and certain glasses and sunglasses frames which are no longer available as stock items from the manufacturers, are made-to-order and hence we are unable to accept automatic returns unless they are faulty or damaged. All frames without lenses are available only as made-to-order. For items which are not made-to-order, you have the right to cancel your order within 14 days of receipt, and a further 14 days to return your order. Made-to-order glasses and sunglasses frames are identified as such on the product ordering page.You are responsible for returning items, including postage costs, unless the items are faulty or damaged. You may cancel your contact lens order within 10 working days of receipt of your lenses. You must then return the goods to us within 10 days of your notification to us that you wish to cancel your order. You will receive full credit for the value of your contact lenses less £4.99 associated with the administration of contacting your optician to confirm your contact lens prescription details (please see Making a Purchase section above). If the reason for return is due to an error on our part, we will refund the cost of carriage. Otherwise the purchaser is responsible for returning the goods and is liable for any lost in transits. We strongly recommend that recorded delivery is used to return goods to Posh Eyes. Returned goods must be in their original unopened boxes and in as-new condition. Refunds are limited to the value of the order. Posh Eyes will send trial frames to UK addresses only, and frames must be returned to Posh Eyes within 7 days of receipt. In the event that a customer decides not to proceed, Posh Eyes will refund the value of the frame less £10.00 within 7 working days of receipt of the frame back from the customer. Posh Eyes will also refund the value of the original shipping at the basic delivery cost. Posh Eyes does not refund for enhanced delivery (e.g. Special Delivery), where a customer places a trial order which includes enhanced delivery. There is a restocking charge of £10.00 for items returned from outside the European Union.